Title: Kiosk (XXI), Modes of Multiplication. Curator: Christoph Keller, on an invitation from Jérôme Saint-Loubert Bié. With the collaboration of Catherine de Smet. Invited to curate an exhibition at Galerie Art & Essai, I decided to invite Christophe Keller to show his project “Kiosk.” Founded and maintained by Christoph Keller, “Kiosk” is a travelling archive of independent publication projects on contemporary art that is continually growing and changing. 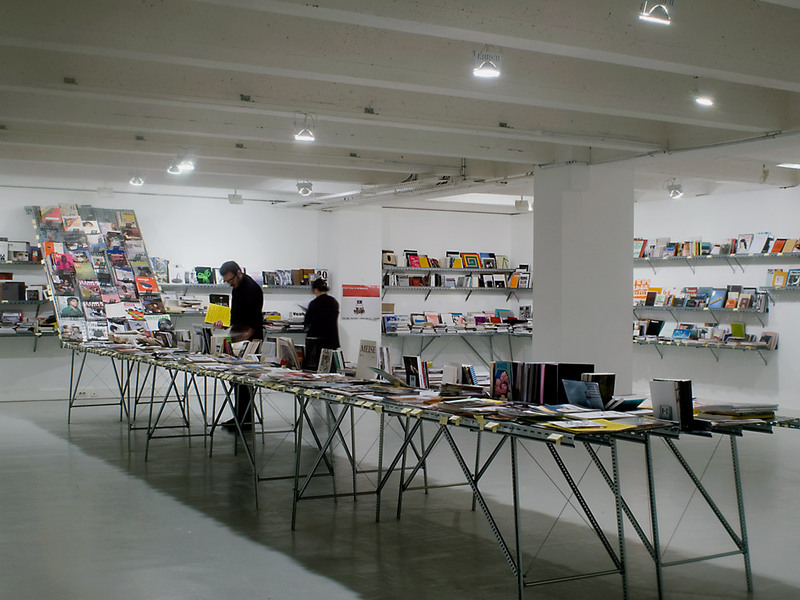 When it was shown in Rennes, it comprised some 300 publishers, represented through approximately 6,000 publications (books, periodicals, zines, video, and audioprojects). After having travelled all over Europe, North America and Oceania, the show in Rennes was the 21st and last venue of Kiosk, which has recently been handed over to the National Art Library in Berlin, (Kunstbibliothek, Stiftung Preussischer Kulturbesitz). As Keller says, the presentation of this archive attempts to provide an overview of independent publishing activities and to get across an idea of the diverse strategies, motivations, and artistic programs of the participating publishers. Individual artists’ publications are not the main focus of attention, but rather the ways in which publishers and editors work. At the same time, it is also an opportunity to see how graphic designers contribute to contemporary independent art publishing. Located next to the university's library, Kiosk's presentation at Galerie Art & Essai provided an exceptional resource that students and professors in Rennes could return to throughout the duration of the exhibition. We worked with Ecole des Beaux-Arts students to create the scenography of this exhibition and the posters announcing it. See Doubles Pages and Le graphiste, l'artiste et le livre, an exhibition and a conference organized in conjunction with Kiosk.